How does Alexa really work? "Alexa" or "Hey Google" are common phrases people use nowadays. But do you really know what goes on behind these home devices and assistants? Even when you simply talk around it? Back to Alexa and the home devices. The topic of Artificial Intelligence has been tackled in many science fiction films, from "The Matrix" (2009) to "Ex Machina" (2014) and more. Because of those stories, the concept of AI may feel familiar to some, but what happens when AI enters our real life? What will become of the human race if tech companies turn into Skynet or machines into Ultron? 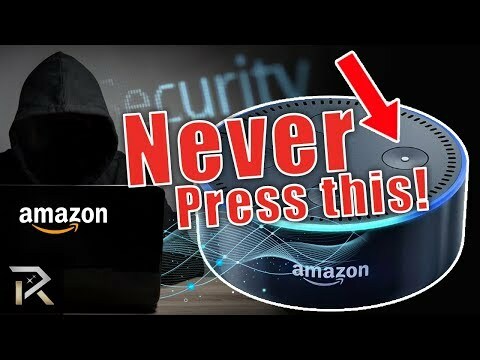 Well, we're not there yet, but with technologies like the recent Alexa or Echo Devices from Amazon, we're slowly heading that way. Big tech companies such as Google, Amazon, and Microsoft are venturing out into lucrative uncharted territories. With the early version of AI now available on the market, come the following questions: as we go forward, how will it shape the way we live? How will it redefine our society? This is a road that needs to be embarked on carefully if we want to avoid what we cannot even imagine. Friendship & Trust At It's Absolute Best!